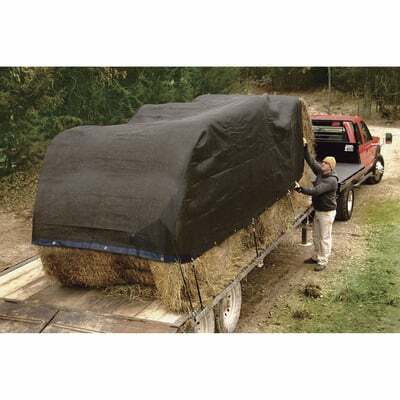 Heavy duty poly truck tarps should be constructed of the strongest polyethylene material — 6 oz per square yard or more, with at least 1200 denier and a high mesh count. 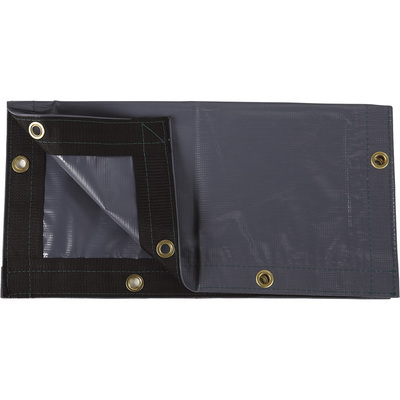 They should be treated with UV coating, and doubled or triple layered at the seams and attachment points. 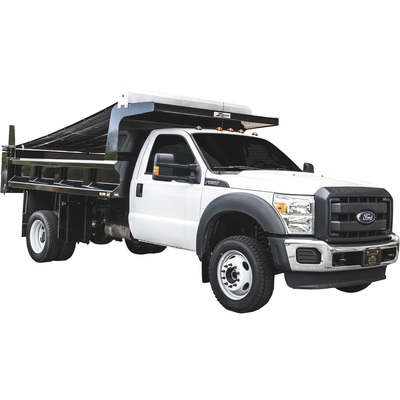 Edges should have a bolt rope for added strength. The attachments should be sewn nylon straps with heavy D-rings, or extra heavy duty grommets. 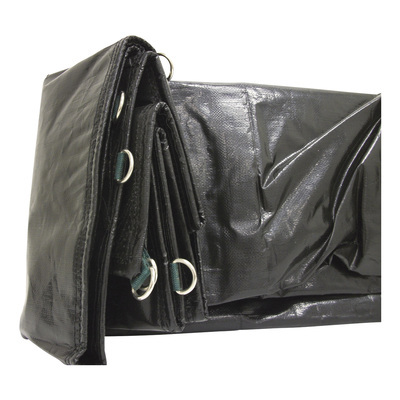 Straps tend to last longer without stressing the surrounding poly tarp fabric. Canvas can also be used to construct truck tarps, and again it should be heavy duty canvas – #4 duck would be adequate for a super heavy duty truck tarp. 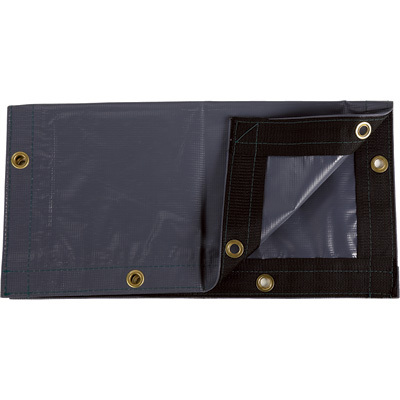 The most wear occurs around the edges and at attachment points, so those should be double or triple reinforced with heavy duty nylon straps stitched on with strong, corrosion resistant D-rings. Grommets can be used on heavy duty truck tarpaulins, but will pull out easier and deform the canvas material more than strap attachments. Lumber tarps for trucking are specially designed to cover stacks of lumber up to 8 feet high on a truck bed. 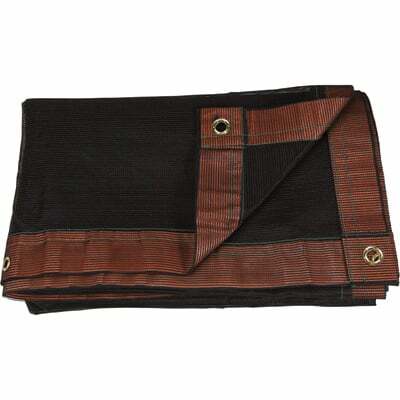 Lumber tarps generally come in 2 or 3 pieces; a single large tarp would be quite heavy and difficult to apply. 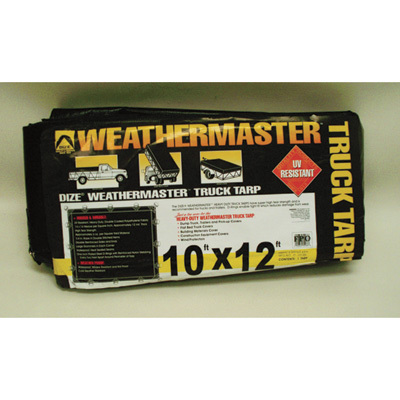 Lumber tarps are important for trucking to protect the lumber from rain and the damaging UV rays of the sun.